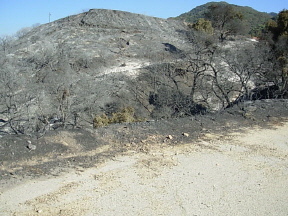 As we all know from large scale disaster movies, recreating any size burned area can be prohibitively expensive. 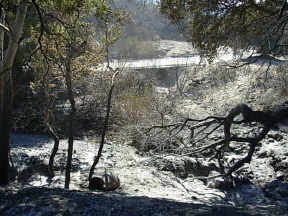 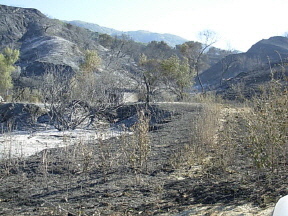 But because of the recent Placerita Canyon Fire there are serveral burn areas currently at Placerita that are larger than 40 acres each. 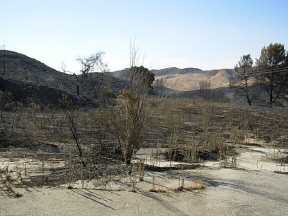 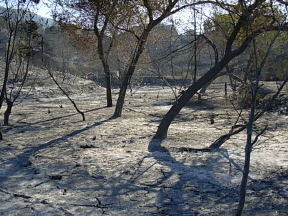 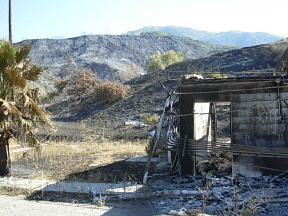 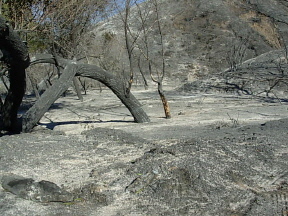 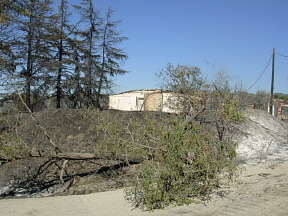 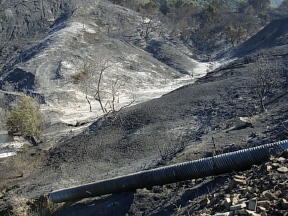 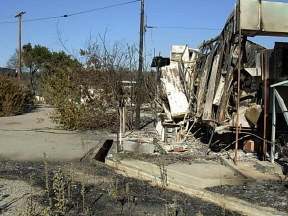 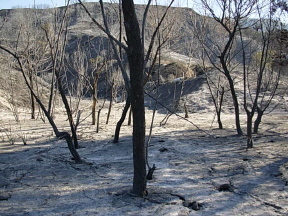 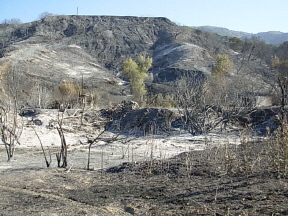 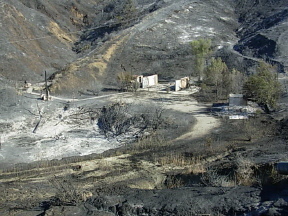 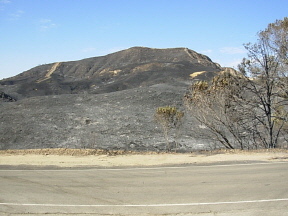 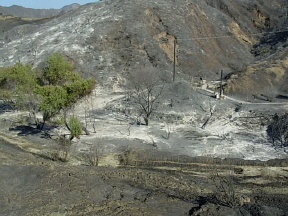 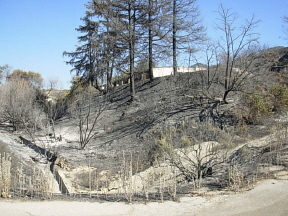 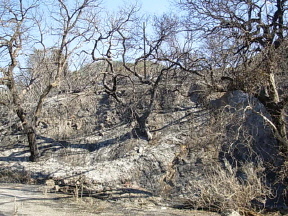 The burned areas look lends itself to both war themed stories and natural disaster themed stories. 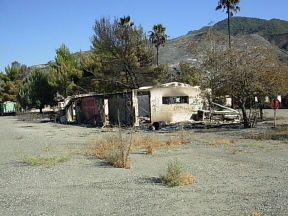 This is one of the most unique properties to become available exclusively to the film industry in the last several years. 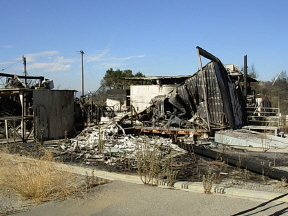 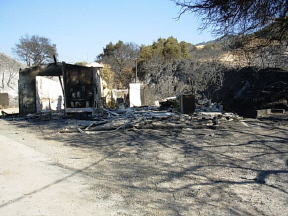 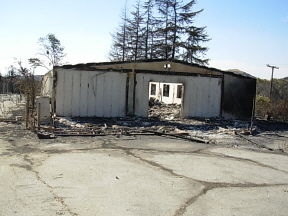 It was previously an industrial facility and has more than 30 buildings on the property. 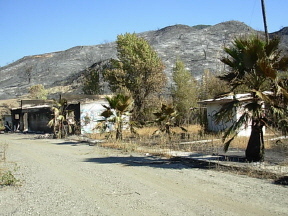 All the buildings are in disrepair and covered with graffiti but the property is very similar to Golden Oak Ranch and Sable Ranch. 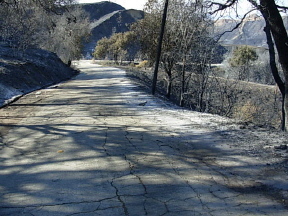 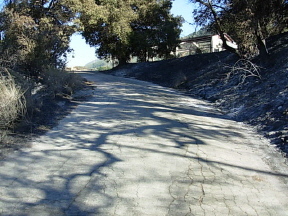 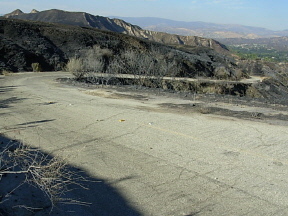 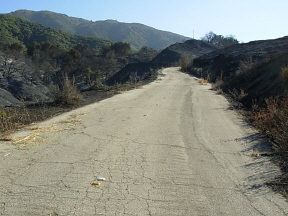 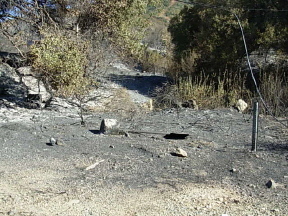 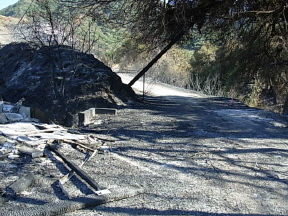 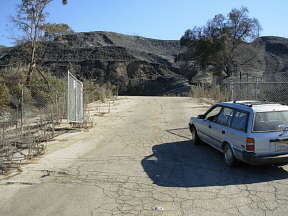 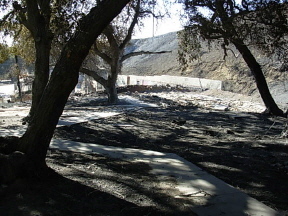 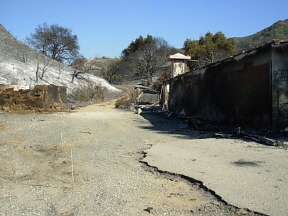 A main, two lane, paved road runs from Placerita Canyon to the top of the property. 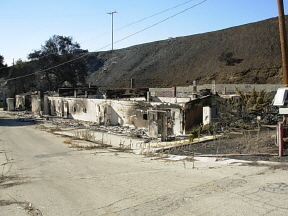 The first level has more than 12 1970 era abandoned warehouse buildings. 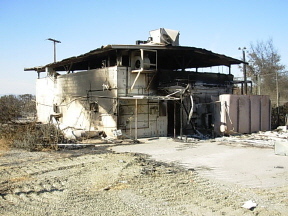 The second level has a house and a warehouse surrounded by dozens of mature Pine, Sycamore, Cottonwood, and Weeping Willow trees, and the upper level has another industrial complex. 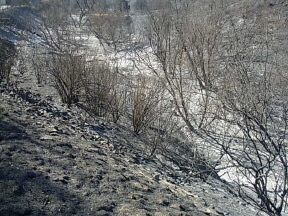 There are two uncovered single lane bridges on the property, and a medium size mountain stream that runs from February through July. 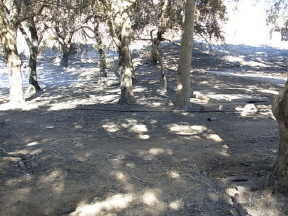 Also, at the very top of the property is a breathtaking view of the surrounding mountains. 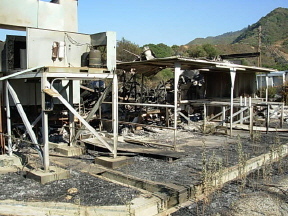 The property is zoned for pyrotechnics and has only 1 immediate neighbor within 500 feet of any level. 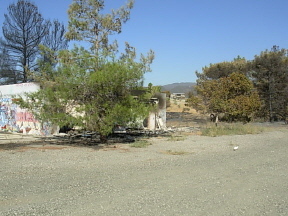 This property is big enough to handle the largest productions in the industry with ease.